As we know summer has just arrived, people are seeking to buy some summer stuff. Especially the ladies must want something freakish as well as comfortable to rock this summer. Our blog always comes up with brand new collections every season. 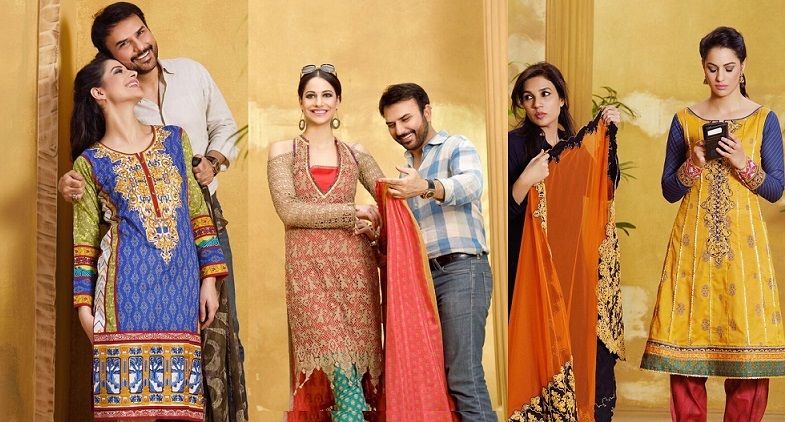 We have posted many of the designer collections now it’s time for the most powerful one, yes I am talking about “Asim Jofa”. The name is not new to all of us; It has got immense fame at national and international level. He is the one of the most popular fashion designers who always brings something unique for everyone. He is a jewelry designer who the becomes the apparel designer. So we bought the creative and artistic touch of royal and traditional patterns in his designs. Asim Jofa designs are not only liked by people in Pakistan but also has preferred by international customers from India, UK, USA, etc. 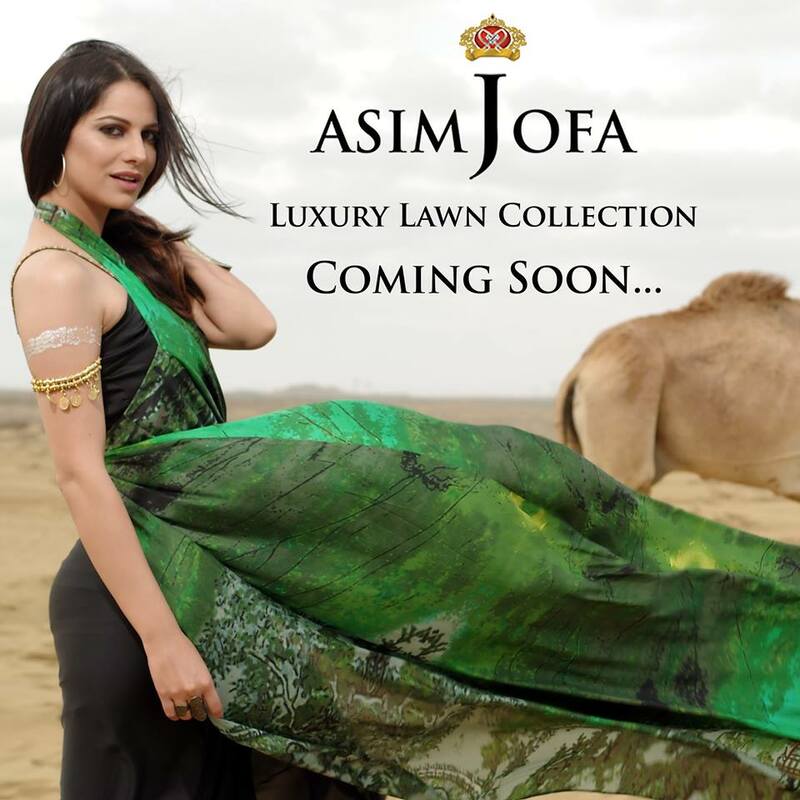 Asim Jofa brand new collection is coming next with great designs and patterns. The famous Pakistani model; who is known to be the queen of models “Cybil Chaudhry” represents the summer lawn assortment. She looks perfect in beautiful, adorned and premium lawn suits. The renowned Photographer Ather Shahzad captures the Asim Jofa Luxury Lawn Summer Collection 2016 in such a brilliant way. 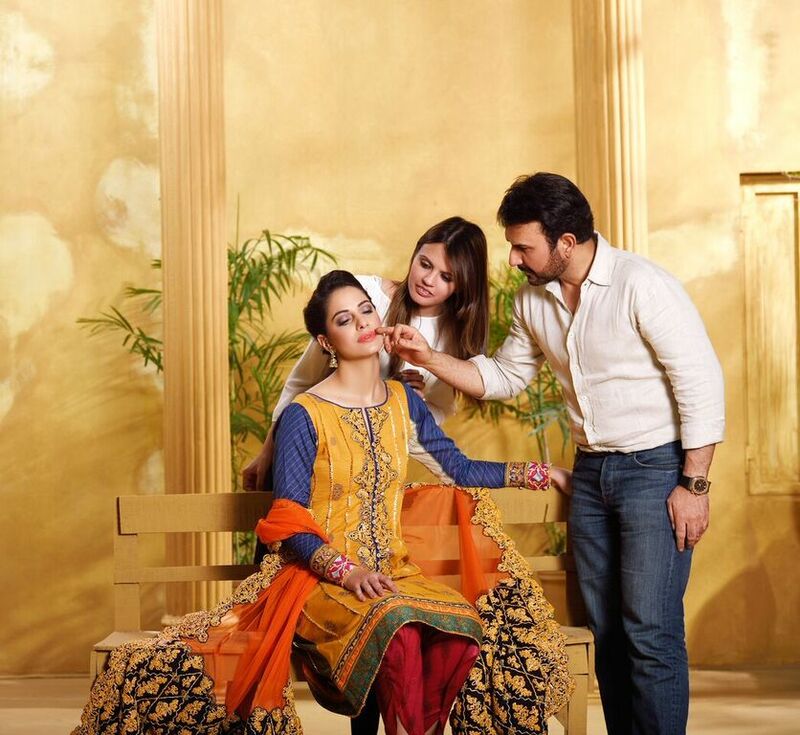 Asim Jofa lawn collection will be launched soon; here we have collected some of the amazing shots from behind the scenes of the upcoming series. Everything selected is perfect, the location, the model, photographer, etc. 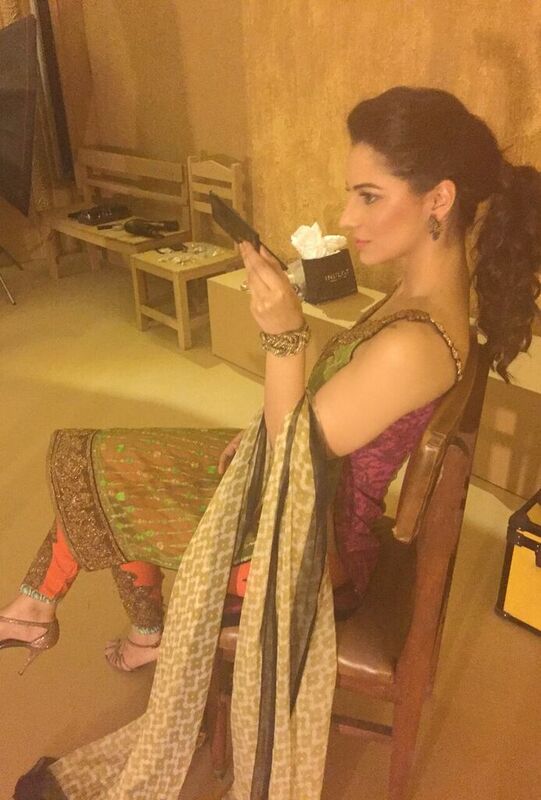 Cybil Chaudhry is carrying the dresses so well and looks stunning. 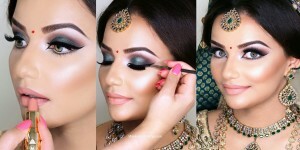 Her hairstyling, makeup and the way to bring dresses are all accurate. Talking about the dresses; beautiful embroideries on necklines are seen along with embroidered patches for borders and sleeves. Digital printed medium length shirts in eye-catching shades with light embroidery works seems very appealing. 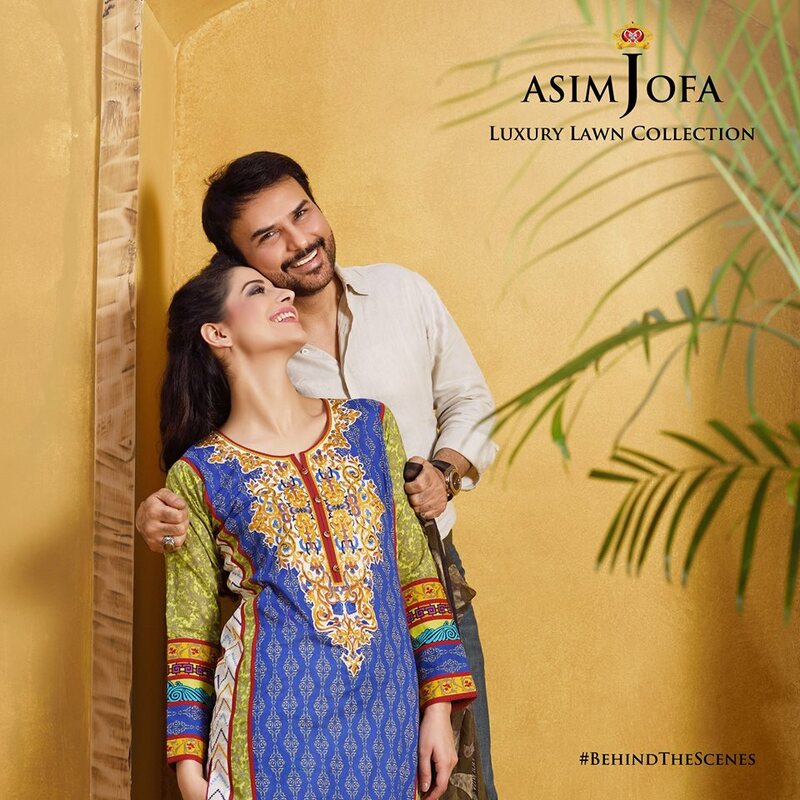 Cutwork necklines are the new hit of 2016 that is seen in the summer lawn campaign by Asim Jofa. Light and dark colors are contrasted with each other to make the perfect hues. Colors used are red, blue, gray, black, cream, green, golden, peach, pink, brown, etc. 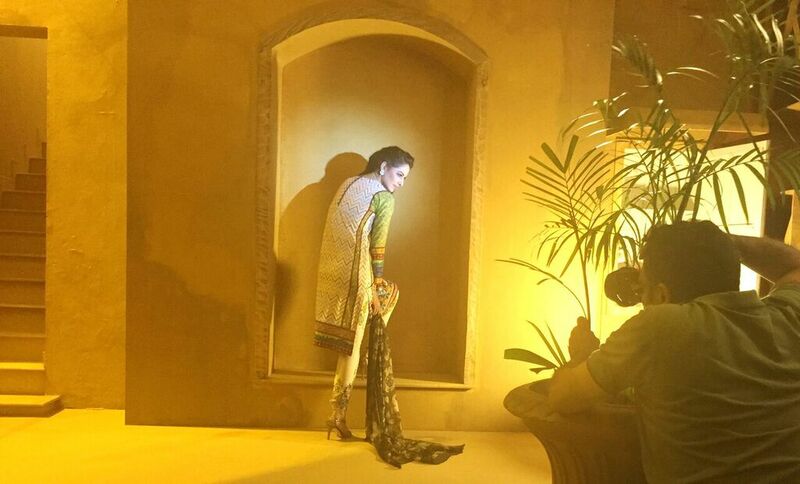 Behind the scenes, the location is all set to rock for the upcoming assortment. The luxurious lawn dresses are just about to arrive, and the date of launch will be announced soon. The designs are flawlessly ready to strike the stores. 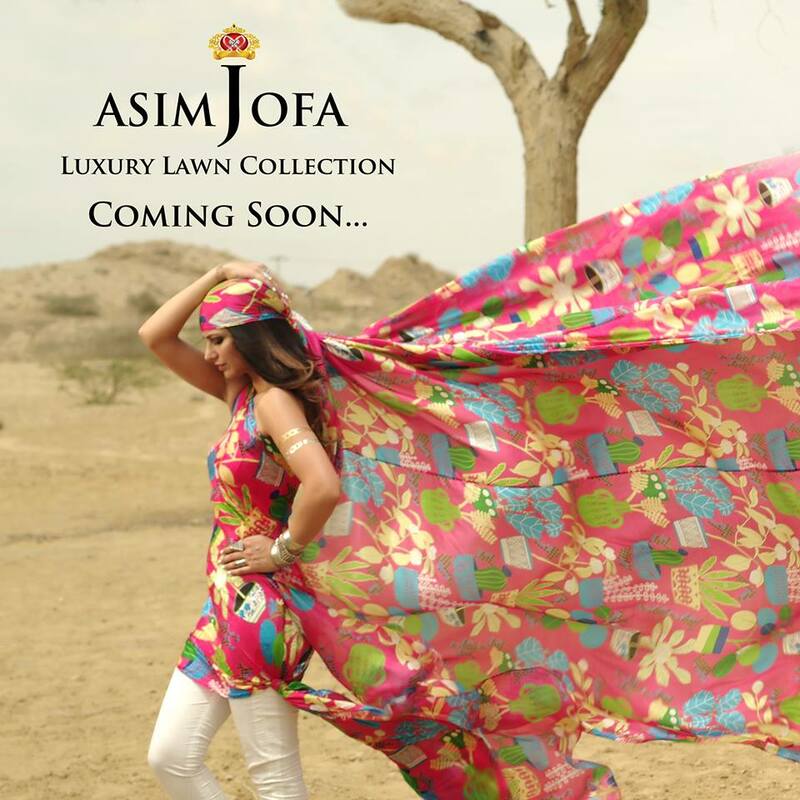 Keep updated yourself to view the latest lawn collection by Asim Jofa and don’t forget to shop before the collection stock out. Be ready!